The practice of the “Shamanic Journey” is over 40,000 years old and one of the first organized forms of healing. It is a spiritual practice that helps to shift one’s consciousness to access inner knowing, creativity and wisdom. The healing sound of a drum or rattle played at 120+ beats per minute can help activate the body/mind relaxation and healing process. During our day together, we’ll explore the many ways we can journey to our inner knowing. 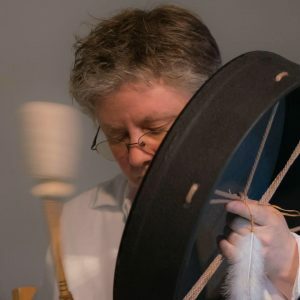 weaver is an artist/musician living on Gabriola and has been facilitating healing workshops for 28+ years. Her passion is to create safe, sacred space along with having fun together. 16+ | $65 | 25 max. Participants take home: processes to add to their spiritual practice for everyday living – which can help spark creativity and peace.